Can you keep a secret? Neither can Roger, Renaldo, Rico, and the other characters created by Janice Brown, author of the children's book, "Rumorang" (Blue Forest Press, 2016). But that's okay, because according to Brown, learning about sharing secrets can be great teaching opportunities for parents, educators, and others caregivers of children. 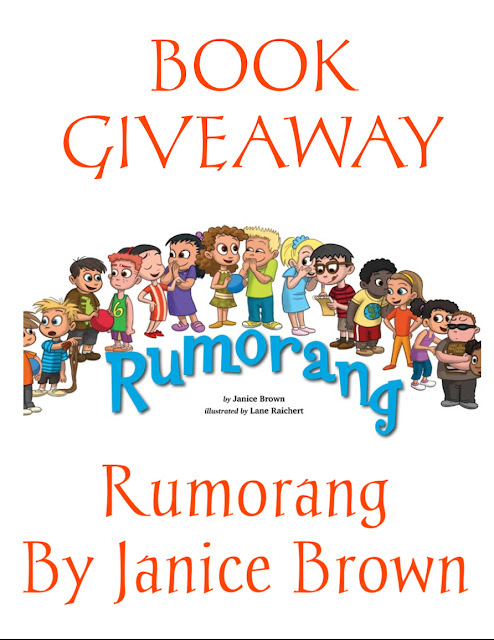 For her book, "Rumorang," Brown created a culturally diverse group of children who learn the hazards of spreading secrets about their friends. 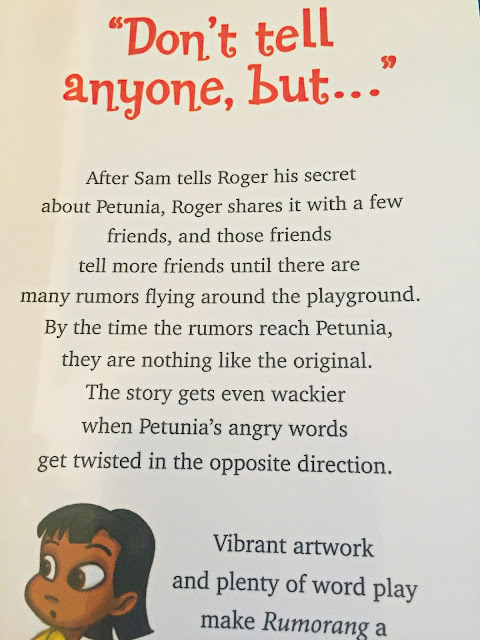 The story begins when Sam tells his friend, Roger, that he likes their classmate, Petunia, and he wants to have lunch with her. Roger shares the news with a few friends, who end up twisting the messages as they pass them to more and more friends, until they finally reach Petunia. 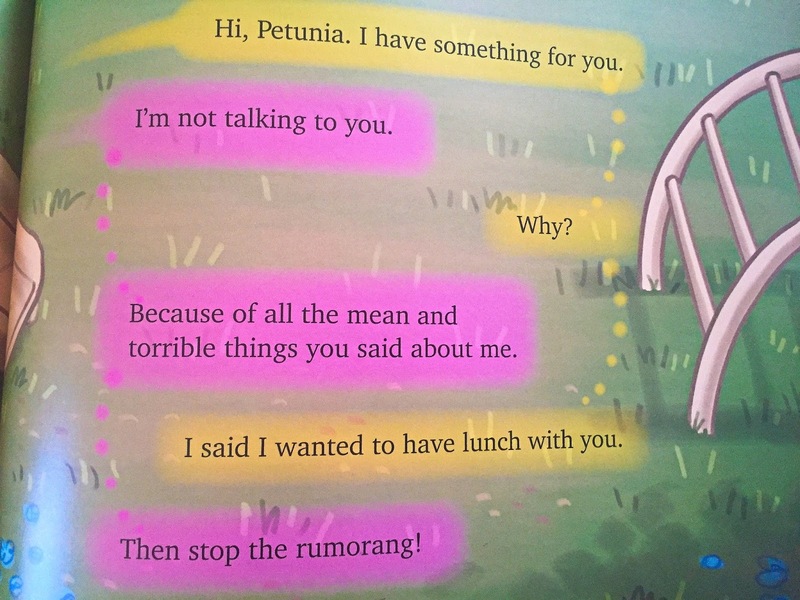 Rumors continue to spread as Petunia's angry words are sent through the playground in the opposite direction. So goes the "rumorang," which is a play on the words "rumor" and "boomerang." 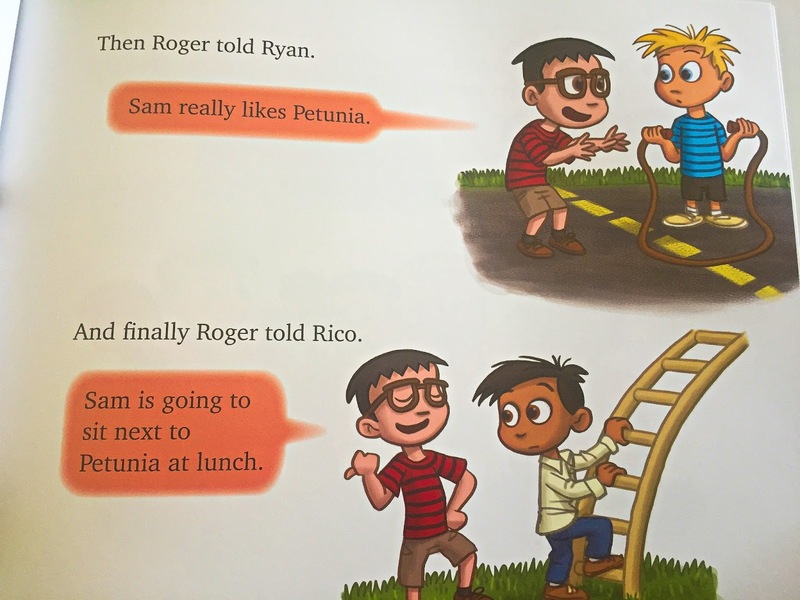 In the playground that Brown writes about, rumors lead to misunderstandings; misunderstandings lead to hurt feelings; and hurt feelings may lead to lost friendships. This is a fantastic book that school principals, teachers, guidance counselors, parents and school psychiatrists should have on their book case. 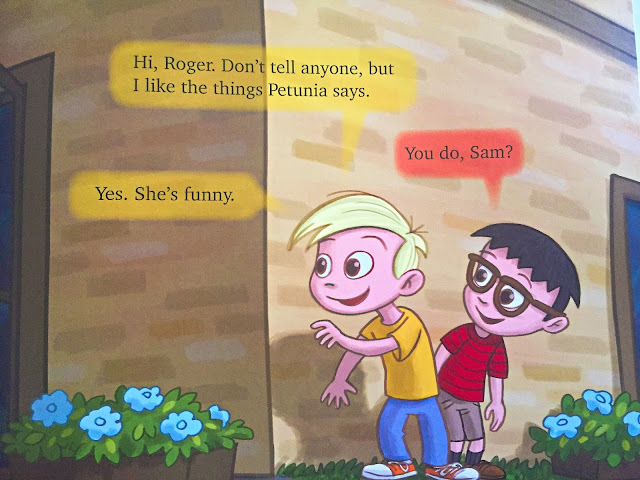 I love the story and art work as Janice shows how simple rumors are spread just by innocently sharing what you heard. If you have ever played the game of telephone you know that what starts out isn't always what the last person says at the end of the game. Sam tells his friend that he likes Petunia but that is not what she hears when this tidbit of information makes it's way through the school. The story shows there is no malicious intent behind the spreading of this rumor which is the perfect way to teach this lesson. The kids didn't share this as a way to hurt anyone they were simply sharing yet, it made someone feel really bad when the words got mixed up through the rumor mill.